You Just Keep Thinkin' Butch. That's What You're Good At. 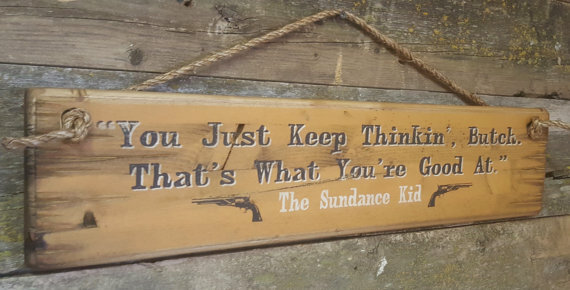 The Sundance Kid, Butch Cassidy & The Sundance Kid Movie Quote. 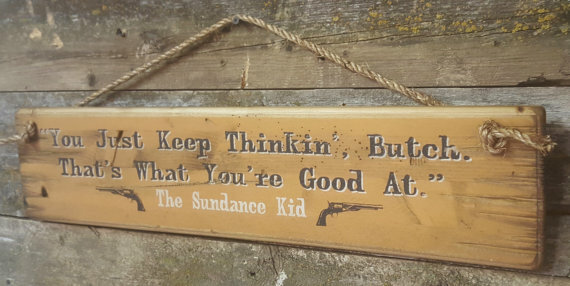 A quote from one of the best westerns of all times. This antique yellow background sign measures 5.5x24 and comes with the grass rope hanger for easy hanging. Handcrafted with pride!